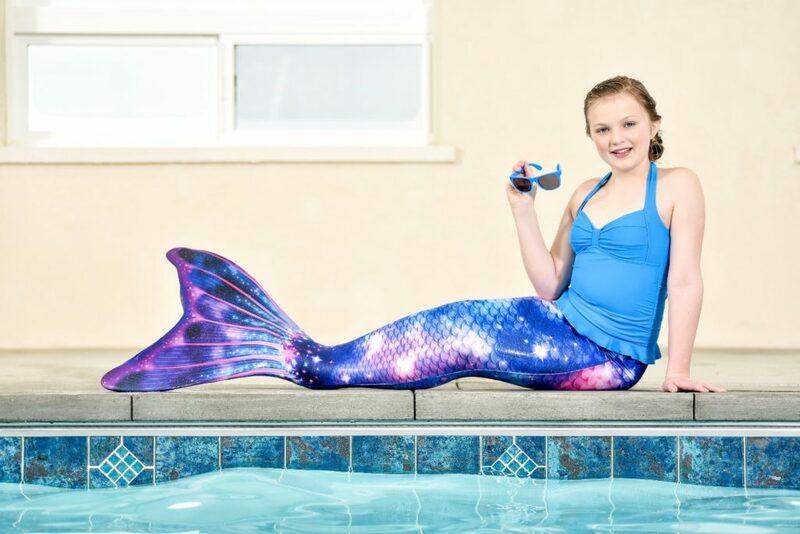 In addition to swimming, mermaids love to do photo shoots on the beach, underwater, or by the side of the pool! Whether it’s with your iPhone, or a fancy camera, here are some tips to remember. 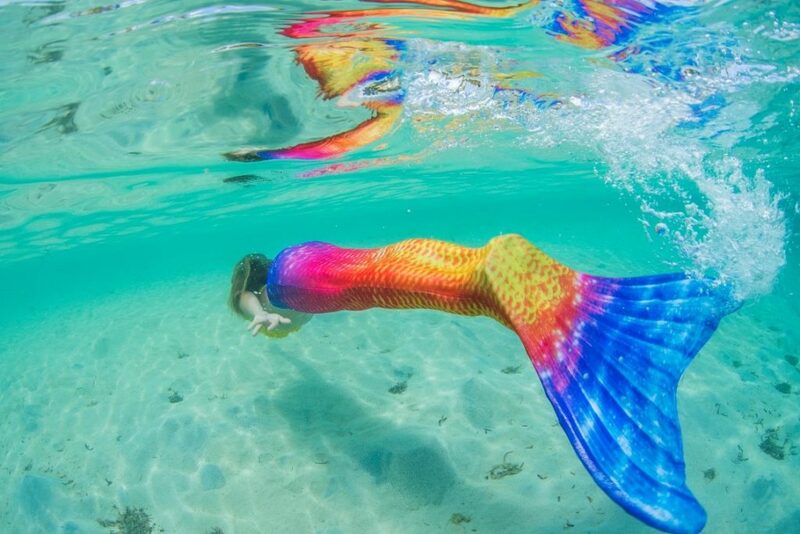 If you have never worn a mermaid tail before, practice trying it on and swimming with it (make sure you are not by yourself if this is your first time). Once you put it on, it’s very hard to move around on land without help. It’s a good idea to have a “Mer-Wrangler” which means someone who can help you move from one place to another if needed. 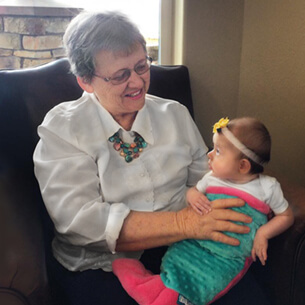 Scooting on your bottom or hopping with your fin on can snag the tail fabric and ruin your tail. 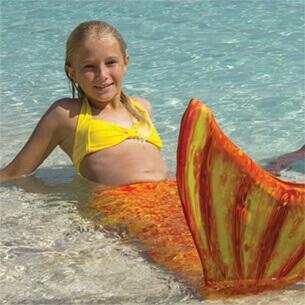 In addition to swimming in your tail, make sure to practice with any accessories you plan to wear. Above water is fairly easy, but underwater modeling is a whole different ball game. You have a lot to think about when underwater. You are holding your breath, trying to swim, and making sure your accessories stay in place, all at the same time. Things like a shell bra, headpiece, and jewelry can feel awkward or make you panic in the water. 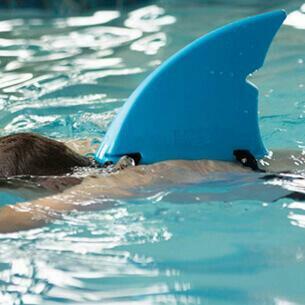 Practice in a pool where you can stand up and then move to the deep end when you feel more confident. 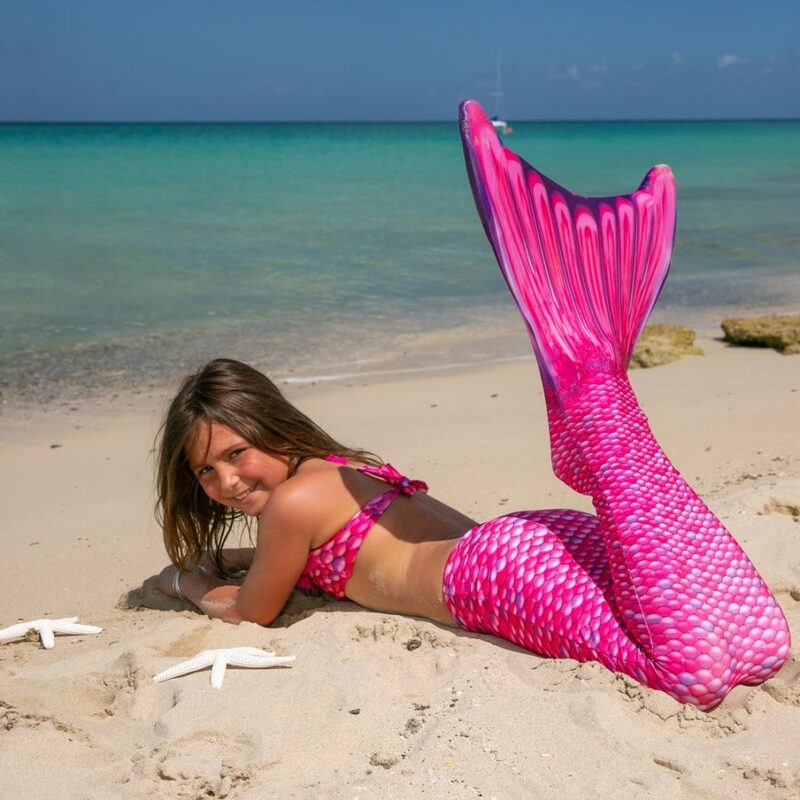 Before getting in front of the camera, get a few pictures that you like for mermaid poses. 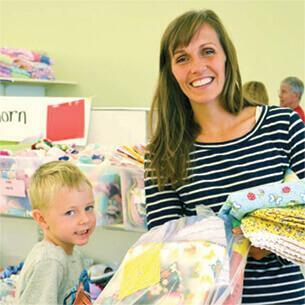 Depending on where you are, you may have more options. If you are on your knees, be aware the cement side of the pool or rocks can be uncomfortable. If you are doing an underwater photo, remember that you won’t be able to hold if for very long. Practice breath control and move slowly in the water. This applies for going underwater. The first instinct we have is to close our eyes and purse our lips together. This looks terrible in photography! Getting used to opening your eyes and relaxing your face will make the picture more natural. If you feel comfortable opening your mouth or smiling underwater, even better! That will make your pictures look more natural. Unless you have a professional photographer who has done mermaid shoots before, you will need to have a game plan. Get some inspiration and know the locations you want to be with your tail. If it’s outside, visit the place beforehand so you know it’s safe, and whether there might be wild animals or crowds of people around that could interfere. It’s always a good idea to have someone besides the photographer present in case something happens. Being a mermaid is magical and capturing this feeling through photography will help you remember these moments for life. Remember these five tips so you can get the most out of your time in front of the camera. Also, please share with us your photos at social@finfun.com!